The violist Hwayoon Lee, currently a participant in the programme “Young Soloists” at the renowned Kronberg Academy, has already made a considerable name for herself as a (concert) soloist and chamber musician. As a winner of the Yuri Bashmet Viola Competition and fellow of the Anne-Sophie Mutter Foundation, she has performed in many major concert halls and at famous festivals, working with pre-eminent musicians such as Yuri Bashmet, Gidon Kremer, Anne-Sophie Mutter, Krzysztof Penderecki and András Schiff. Hwayoon Lee was born in Seoul, South Korea, in 1996. At the age of three, she discovered pansori, traditional Korean music for voice and drum. At the age of nine, she began her viola studies; during the course of these studies she attended master courses with Yuri Bashmet, Wilfried Strehle and Tabea Zimmermann. She is currently completing her postgraduate studies with Nobuko Imai in Kronberg. In 2010 Hwayoon Lee won the Austrian Johannes Brahms Competition, thereby coming to international attention. Thanks to this success, she was invited to concerts at Musica in Collina in Lapedona, Italy. Her participation as the youngest-ever candidate in the 7th International Yuri Bashmet Viola Competition in Moscow became a sensation, as she won the Grand Prix for the first time in the competition’s history. Among the most recent highlights in Hwayoon Lee’s concert calendar are appearances with the Baltic Philharmonic Orchestra (Krzysztof Penderecki), the Bamberg Symphony Orchestra (Manfred Honeck), the Frankfurt Radio Symphony Orchestra (Gregory Vajda), the Moscow Soloists (Yuri Bashmet), the Munich Symphony Orchestra (Ken-David Masur), the Symphony Orchestra of New Russia (Valentine Uryupin), the Radio Symphony Orchestra Berlin (Michael Francis) and the Stuttgart Philharmonic Orchestra (Joana Mallwitz). As a soloist and chamber musician, she has most recently appeared at the festivals in Edinburgh, Grafenegg, Marlboro, Mecklenburg-Vorpommern, Moritzburg, Rheingau, Schleswig-Holstein and Wolfegg. 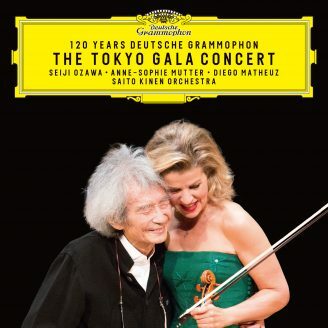 The Anne-Sophie Mutter Foundation has supported Hwayoon Lee since July 2011; since 2013 she has also toured regularly with the ensemble Mutter’s Virtuosi, performing Mozart’s Sinfonia Concertante in 2014 together with Anne-Sophie Mutter and the Bamberg Symphony Orchestra under Manfred Honeck. In addition, Hwayoon Lee is supported by the Korean Ministry of Culture as part of the AYAF project. 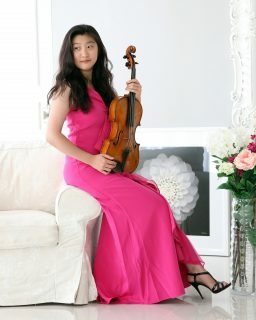 In 2018 Hwayoon Lee became the first violist to win the Prize of the Mozart Society Munich at the ARD Music Competition. The violist is passionate about giving concerts for young listeners and telling musical stories – she regularly performs in kindergartens, children’s hospitals and institutions for orphans. Hwayoon Lee plays a viola built by Gasparo da Saló in 1590, which is generously lent to her by the Samsung Foundation of Culture of Korea and the Stradivari Society®.